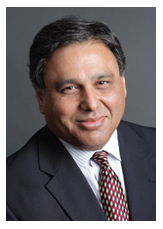 Naeem Zafar is a Dean’s Teaching Fellow and a member of the faculty at the University of California Berkeley, and Professor of the Practice at Brown University. He teaches courses in Entrepreneurship, Technology Strategy, Innovation and New Venture Finance at Brown and Berkeley. Naeem is the co-founder and CEO of TeleSense, and has authored five books on entrepreneurship.